Nose: Rich, candied fruits, deep vanilla, white flowers, raisins, warm and generous. Palate: oily, harmonized, rare complexity, nutmeg, white flowers, honeysuckle, lime tree flower, infinite opening, and delicate lingering finish. The Selection Olivier Blanc S.O.B XO Extraordinaire Francois Voyer Grande Champagne Cognac is a truly wonderful example of an artisan produced Cognac. Part of the newly established S.O.B brand, everything that's gone into creating this quality Cognac is to do with tradition. From the Grande Champagne vineyards in which the eaux-de-vie was produced, to the on-site distillery, and in-house bottling procedure, tradition is the name of the game. 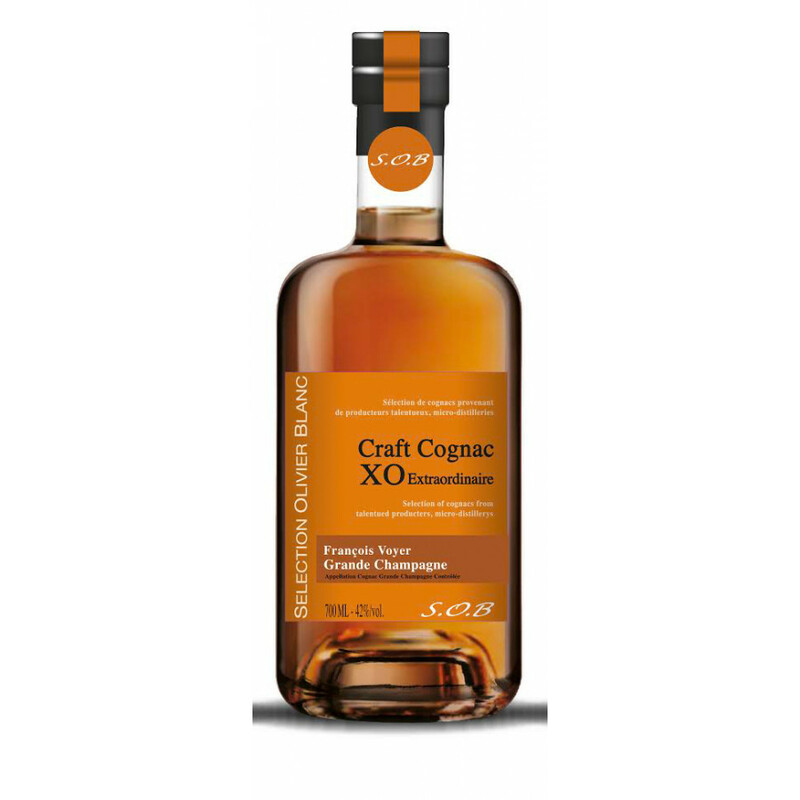 This is a Cognac with a story - a Cognac created by a house that works in the manner of their forefathers, and a Cognac that any lover of fine liquor would be proud to own and taste. Enjoy neat, in good company and in great surroundings. Any Cognac that's been created with the amount of passion such as this deserves to be enjoyed in an unhurried and time-honored manner. Despite its slightly tricky name.. a great blend! I must admit that this Cognac has a tricky name for the US market, it's not a marketing product, you can tell! This Voyer blend is really solid, love the nose.. the palate is very complex and I'd say I prefer the palate over the finish. Nice work by Olivier Blanc and of course Pierre Vaudon.